Spring Is Coming - Illustration store PicsForDesign.com. PSP tubes, PSD illustrations, Vector illustrations. After a harsh winter, spring finally shows his nose! 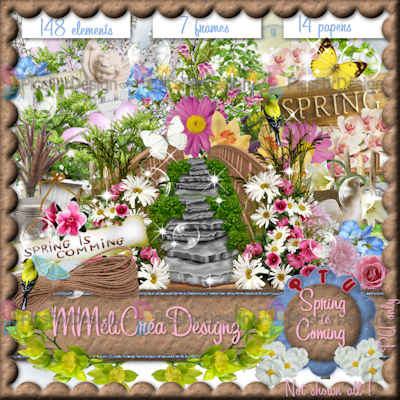 This kit have a lot of beautiful flowers to make spring tags. 148 elements, 7 frames and 14 papers ! It's a tagger size kit and not shown all on the preview !